Cats and digital life seem to go together like peanut butter and jelly. It’s hard not to spend at least part of your day looking at funny cat pics or videos, so it makes sense that more and more iPhone games would have some sort of element to amuse the cat-o-philes out there. 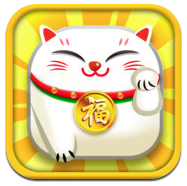 EnterAmazing Kitty, a matching puzzle game developed by Shiconal. 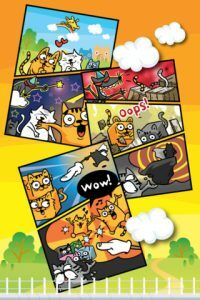 Groups of different colored cat-faced blocks fall from the sky, and it’s your job to match the ones that are touching. The graphics are super-cute, and it’s hard not to crack a smile at the different styles of blocks. 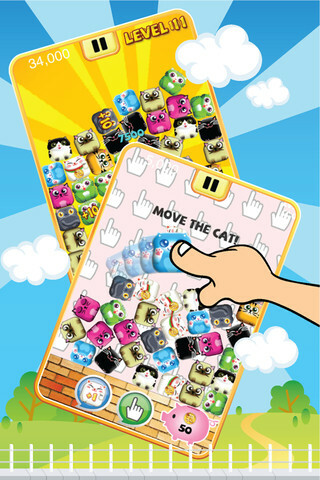 By turning the screen from side to side, you can dislodge some of the cats and redistribute them so they are touching and can be eliminated. But as much as I wanted to like Amazing Kitty, I often found myself getting frustrated with it. Despite the fact that it’s been given so many accolades (including the 2012 Startup League – Grand Prize, 2012 Startup Battle Korea Silver Prize, 2012 Smart Call Excellent Idea Award, and the 2012 Super App Korea Nomination) certain aspects of the gameplay really bothered me. 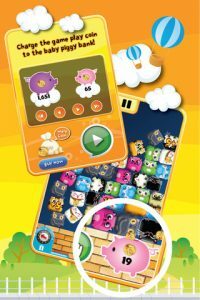 I know it’s pretty ubiquitous for games to offer in-game currency that you pay real cash for, but some of the gameplay in Amazing Kitty feels like it’s intentionally cumbersome in order to force you into buying bundles of coins. And while you do get 777 coins for $.99, it still irked me a little. For example, I wasn’t a huge fan of the way basic game actions like adding a cat or moving a cat costs coins (50 and 10 coins, respectively.) For my taste, I’d rather spend more on the app itself and not have to spend my hard-earned coins on in-game actions, but your mileage may vary. 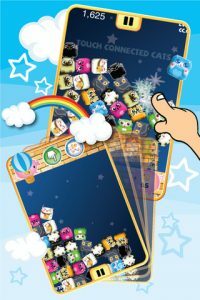 Still, with both a classic and speed mode to play around with, puzzle addicts and cat fanciers alike are sure to find something to enjoy in Amazing Kitty, despite my personal objection to some of the in-game economics. Amazing Kittyis compatible with iPhone, iPod touch, and iPad. Requires iOS 4.3 or later.